Yar, maties! There be new consoles on th' horizon. Arr. Did you shed all too many tears when Watch_Dogs was delayed? Did you also pre-order the PlayStation 4 bundle, hoping to welcome in a new console generation with fast-paced vigilante action, only for Ubisoft to slap you with the ol' "delay exciting title until Q2 of next year" trick? Dry those tears, friends. The world-wide French developer wishes to mend bridges by offering a new bundle for those wishing to explore the high seas in all their next-gen splendor. 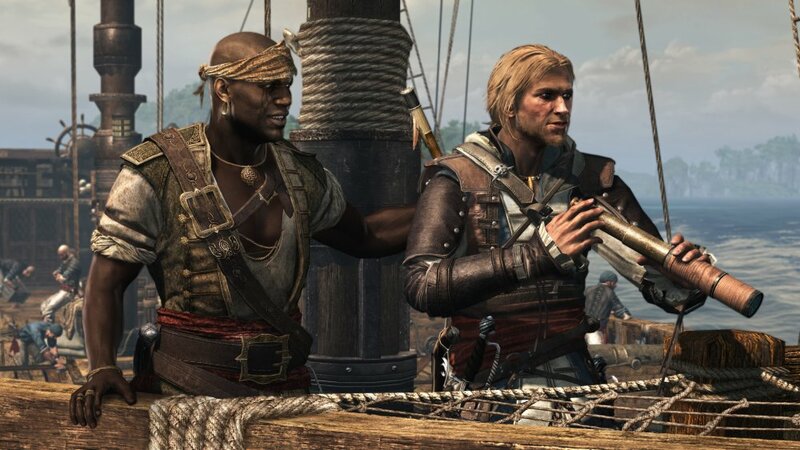 Assassin's Creed IV is taking Watch_Dog's spot as the Ubisoft bundle for the PlayStation 4, due out November 15th for $459.98. While there was some speculation that this bundle was only available in Europe, Gamespot's page states that it ships to US. It also makes note that there is only one PS4 bundle per household, so if you have any siblings eyeing that Killzone pack-in, you'd better act quickly. This particular box comes with one PlayStation 4, one Dual Shock 4, and a copy of Assassin's Creed IV. 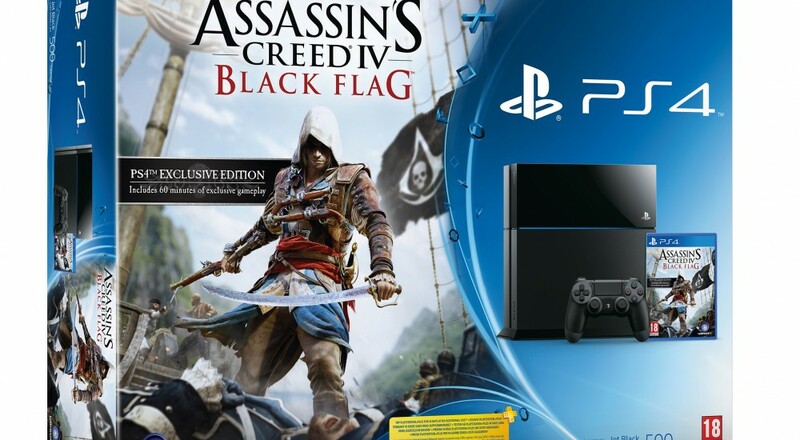 Assassin's Creed IV: Black Flag is the most recent game to be added to a PS4 bundle. While it might never replace the loss one feels at the absence of Watch_Dogs at the launch of a new console, at least it's some consolation. However, the price for any of these bundles is exactly the price of ordering the console itself plus the game. You're not exactly saving any green by buying a bundle. You are ensuring that your console and game arrive at the same time, thus sparing potential hours cradling a disk and yearning for something, anything, to play it on. Page created in 0.3441 seconds.